Call today to book an appointment. Ask us about our PRICE MATCH GUARANTEE! 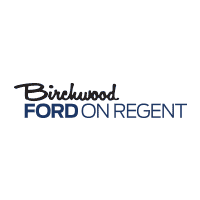 Birchwood Ford on Regent is the exclusive home of the Value Pricing Promise (V.P.P.) What is V.P.P.? V.P.P. is our Promise & details of that Promise, for how we want to take any possible concerns out of the new car buying process for YOU our customer or soon to be customer! VPP Details: -$2,500 Price Match Guarantee = We are so confident that we will give you the best value we have backed it up with $2,500! We are constantly scanning other dealership sites to ensure we have the best price! We want to prove to you we mean it when we say we will not be undersold! Transparency = You have our committed Promise that we will always show you ALL your options. This means we will always show & share with you: -Window sticker of any vehicle you request. -Ford of Canada Rebates -Financing Options -Leasing Options -Any other special savings offered by Ford, Birchwood Ford or any other institutions where we can save you money! Financing available with 100% guaranteed approval As additional value, the ESSENTIAL VEHICLE PROTECTION package is available for purchase with all new vehicles, which includes: 3 Years- Roadside Assistance 3 Years- Key Replacement 3 Years- Tire Road Hazard Warranty 3 Years- Rim Hazard Warranty 3 Years- FREE Annual Tire Rotations 5 Years- Theft Protection with $5,000 Guarantee NO Trade-In Required! NO Money Down Needed! Call us at 204-296-8868 or go to WWW.BIRCHWOODFORD.CA to browse our inventory! Installation of optional accessories (i.e. Box Liners, Mud Flaps, Floor Mats, Side Steps) is also available for additional fees. Birchwood Ford on Regent is the exclusive home of the Value Pricing Promise (V.P.P.) What is V.P.P.? V.P.P. is our Promise & details of that Promise, for how we want to take any possible concerns out of the new car buying process for YOU our customer or soon to be customer! VPP Details: -$2,500 Price Match Guarantee = We are so confident that we will give you the best value we have backed it up with $2,500! We are constantly scanning other dealership sites to ensure we have the best price! We want to prove to you we mean it when we say we will not be undersold! Transparency = You have our committed Promise that we will always show you ALL your options. This means we will always show & share with you: -Window sticker of any vehicle you request. -Ford of Canada Rebates -Financing Options -Leasing Options -Any other special savings offered by Ford, Birchwood Ford or any other institutions where we can save you money! Financing available with 100% guaranteed approval As additional value, the ESSENTIAL VEHICLE PROTECTION package is available for purchase with all new vehicles, which includes: 3 Years- Roadside Assistance 3 Years- Key Replacement 3 Years- Tire Road Hazard Warranty 3 Years- Rim Hazard Warranty 3 Years- FREE Annual Tire Rotations 5 Years- Theft Protection with $5,000 Guarantee NO Trade-In Required! NO Money Down Needed! Call us at 204-296-8868 or go to WWW.BIRCHWOODFORD.CA to browse our inventory! Installation of optional accessories (i.e. Box Liners, Mud Flaps, Floor Mats, Side Steps) is also available for additional fees.